Written on January 13, 2014 . Posted in Announcements + Updates, Foundation Studies. Rhode Island College will host a solo show of work by Wendy Seller (Assistant Professor, Foundation Studies). 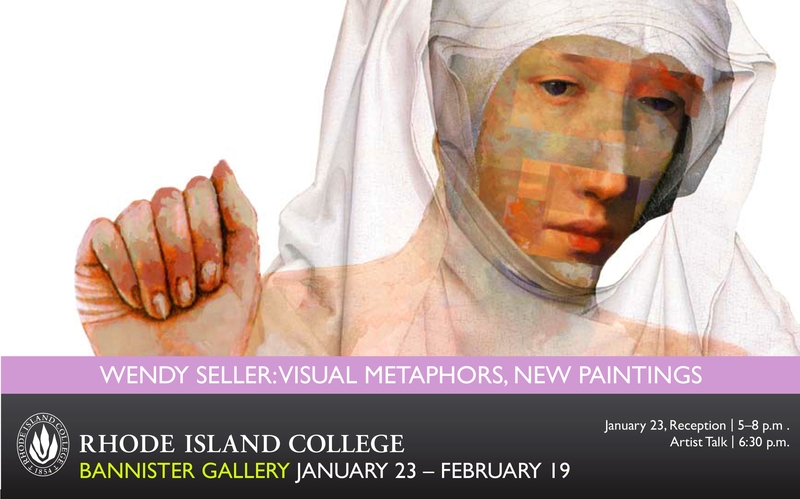 The exhibition of roughly 18 works, “Wendy Seller: Visual Metaphors, New Paintings,” is scheduled at the Bannister Gallery, January 23 – February 19, 2014. The opening reception on Thursday, January 23rd from 5:00-8:00 pm will include an informal gallery talk at 6:30.